For many gardens, August is a transition time between the height of summer blooms and the last show of fall flowers. 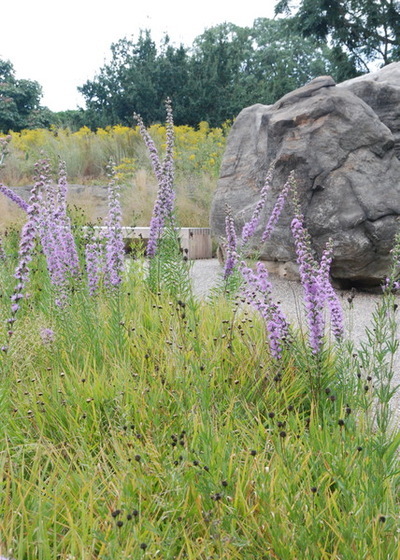 For too many, July is the last month of significant blooms, but it doesnâ€™t have to be that way. Planning your garden for a full seasonâ€™s worth of color means matching plants to your site as well as finding those that shrug off late-summer heat. Here are some top choices for a variety of conditions. 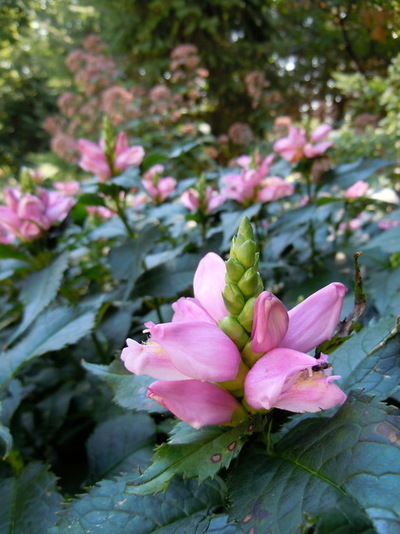 Pink turtlehead is perfect for partial to full shade with consistent soil moisture. Youâ€™ll enjoy watching bumblebees fight their way in and out of the blooms. 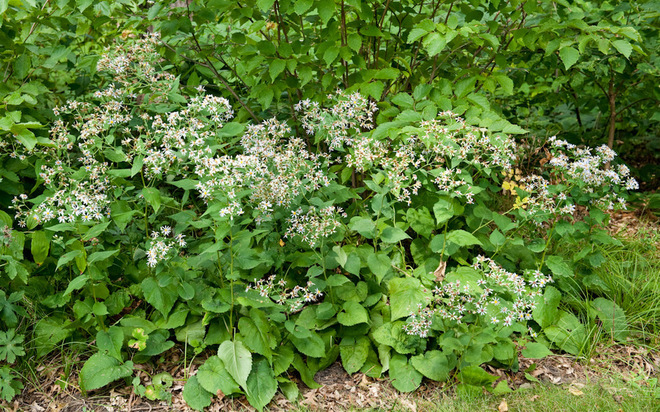 Glossy green leaves add interest all season long, and it stays around 2 feet tall and slowly spreads. â€˜Hot Lipsâ€™ is the cultivar youâ€™ll see for sale most often. Big leaves shade the soil and outcompete weeds with this early-blooming aster - early blooming for an aster. 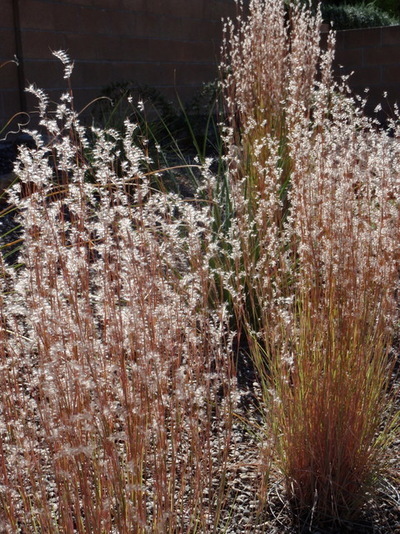 Fifty percent sun is best in a medium soil - a little bit wetter in more sun and a little bit drier in more shade. 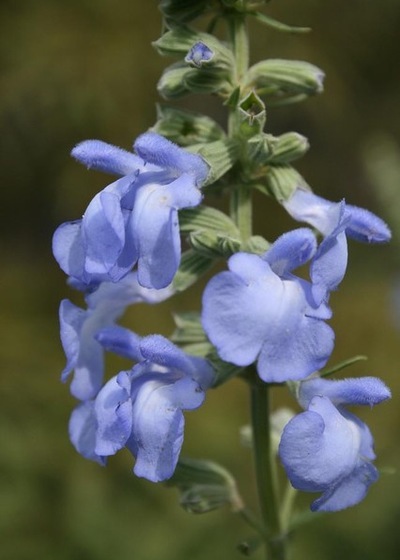 It makes a good ground cover, reaching about 2 feet tall and spreading moderately. 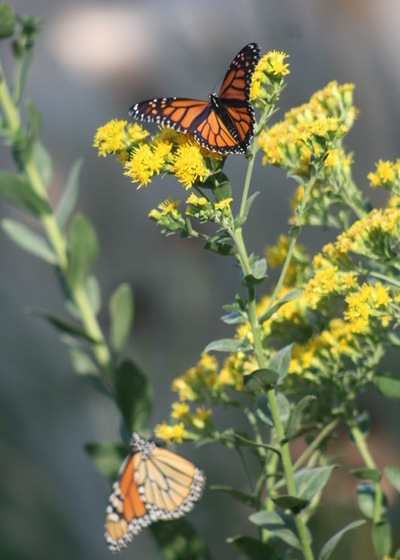 See how to grow bigleaf aster and asters native to other parts of the U.S. Topping out at about 2 feet tall, this moderate spreader produces flowers that are highly attractive to bees and other insects, while also providing good yellow fall leaf color. 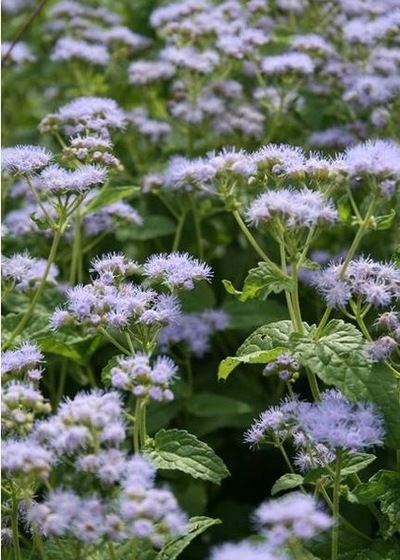 Blue mistflower prefers consistent moisture in full to partial sun, so medium to slightly wet soil would work. If showing off your beautiful, all-season gardens to potential buyers is your goal, don't hesitate to contact me! You may not always want to pack up and head to the beach, especially with a big family. Is getting a Pool or Jacuzzi a good investment for you? Let's look at both the benefits and down sides. Family time is the number one bonus - splashing around is an activity everyone can do together and have fun! Beaches can be distracting and donâ€™t really give you the same feeling as rekaxing at home and enjoying time with your family and friends. Having a pool is one of the most therapeutic things anyone can ask for. Being able to have a gym and tranquility all in one can be the best! A pool can be a great enticement to get out of the house on a hot summer day and move around - whether it's swimming, aerobics or just some good old "Marco Polo". It helps get the kids moving helping to counteract all the indoor time during the winter when they tend to spend more time on video games. Is this a good investment? The answer is - it depends. It depends on the market and the buyer. If you are in an area where the majority of the homes have pools, and are selling high, than it may increase your appeal, but at the end of the day it all depends on who your buyer is and what they are looking for. Are You Creating a Money Pit? This can be what a lot of potential home buyers think of when they see a pool in the back yard and don't understand what the actual costs of maintenance are. They may see the entertainment possibilities, but also think about the associated liability. It's important to educate people on what they can expect and what maintenance can run - usually about $3,000 to $5,000 a year. At the end of the day there is a 50/50 chance that a pool will enhance the value of your property. Pools are a lot of work, but can also be a great source of enjoyment. If you want one for your own pleasure - dive in!